This article is part of an ongoing series. Click here to see an archive of past articles. There have been many games that have passed through my hands over the 30 some years I have been gaming. Some stand out more than others, as is the case with everyone. I cannot easily count the number of games I have finished. When I begin to think about the games that stand out most, Xenogears is the first one that comes to mind. 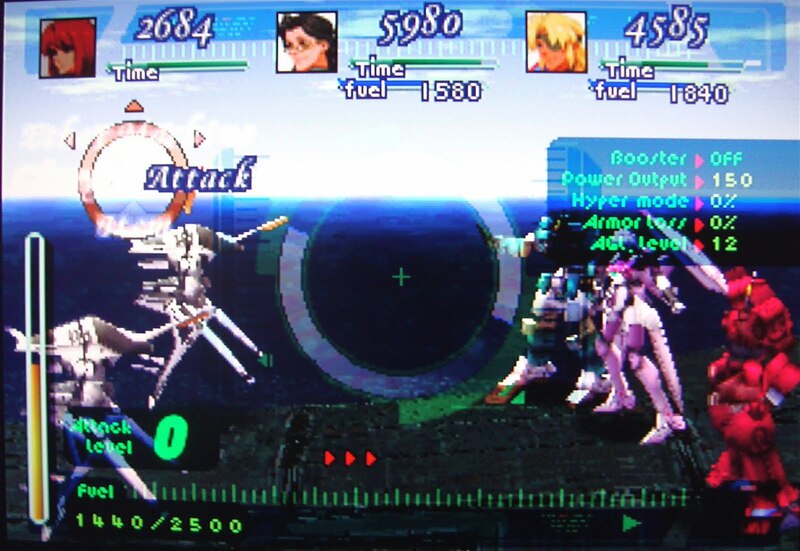 It came along during the great JRPG boom of the PSone era; it had a lot of competition. One would think that it would be eclipsed by the juggernaut that is Final Fantasy 7, and I am sure some people feel that way. There are, to me, several reasons why I feel this game goes above and beyond that in depth and scope. I will get into all of those details shortly. First off a little background on Xenogears: few people know that the project was originally pitched to be Final Fantasy 7. It was decided that it was too dark and complicated for a Final Fantasy game, but the team was given a green light to pursue it as a new project. (Boy, if only they did that these days, right?) At this point Takahashi-san and his wife Soraya Saga began to write a screenplay complete with full dialogue and cut scenes. The rest is history. When I first learned about the game, it was in the imports section of EGM magazine. They showed some screens of the beautiful anime style cutscenes and giant mechs doing battle. I was stoked right off the bat. I was just really starting to get into anime in those days, and hey, what guy doesn’t love giant robot battles? When I read the piece further, they said the game would likely not be localized due to highly religious overtones, which in those days were a big deal. I am so thankful that Square and Sony took the chance to bring this over here, or we would have missed out on one of the greatest JRPGS of all time. In my mind what makes a great game is the story. With a good story and characters to build on you just really want to invest your time in it to see how it all comes out. This is especially true in RPGs. If you have no attachment to the characters, then the rest of the game is most likely going to be a painful experience. Xenogears not only delivers one of the most in depth, epic stories in gaming history, but it offers some of the most memorable characters as well. Until I played this game I had no idea how deep a story could go in a video game. Some would call the massively complicated story convoluted. To a point, I can agree with that, you have to do a little extra research to fill in all of the details left out in the game. In the end it will be well worth your time. Here, you can find the Xenogears Perfect Works guide book. Reading this will help you fill a ton of the story gaps and questions, but be warned: this is intended for people who have finished the game. If you haven’t finished the game and do not wish to be spoiled, I strongly suggest finishing before taking a look at it. Takahashi-san had hoped to do a prequel and a sequel to this as well, but unfortunately that never panned out. This was the first of his two unfinished masterpieces. What makes this story unique are the issues that it deals with such as religion, love, loss, facing one’s own demons, and the feeling of being alone. These are deep issues which, at the time of its release, were not really touched on in gaming a whole lot. Yes, Final Fantasy 7 did deal with some of these as well, but in my opinion, it wasn’t in the depth that Xenogears does. Religion was something gaming did not dare touch on back then. This still shows in translation where lots of religious names have been misspelled on purpose to keep the faithful from not blowing a gasket at a story based around some of the ideology or even to question some of it. Click here for a full list of changes and purposeful misspellings. I found this link very informative. Aside from the religious tones helping it along, this was one of the first games that I can say made me feel for the characters. They are so well written that you feel like you know these people after a while. The banter between them helps this along tremendously. This is definitely what separates a mediocre RPG from a epic one: when you are so caught up in the characters and the story that you tend to easily become completely focused on the game, ignoring your other surroundings. The gameplay is just as immersive as the story. The combat system of this game is one of the best that has ever been designed. You will engage in combat on foot and in the giant mecha called Gears. On foot the game uses an AP system in which attacks use AP depending on the button your press. Pressing a certain combination of buttons will grant you a combo finisher for bigger damage. By trying out different combination you will learn more finishing moves. AP can also be stored each round then unleashed in a plethora of finisher one right after another to dispatch bigger foes. This provides a strategy to each battle as some finishers will also have elemental properties as well as, always in a RPG, hit the enemies weakness for bigger damage. When fighting in Gears the AP system is replaced with a Fuel system. It works in basically the same way but you will have to be careful as your fuel does not replenish after each battle. So when in a bigger dungeon you will need to try to conserve as needed. What is an RPG without great music? Xenogears has some of the greatest music in gaming history, or so I think anyways. The fully orchestral sound track is just as epic as the story it accompanies. Composer Yasunori Mitsuda delivers on every level. Each track is masterfully crafted to add to the games atmosphere and emotion. I cannot hear A Faraway Promise to this day without tearing up a little bit. That is the mark of a good OST: when you hear a song from it and the emotion of the game comes flooding back to you. Not to spoil anything but the game’s ending track is one of the most fitting ending themes I can think of… truly epic. 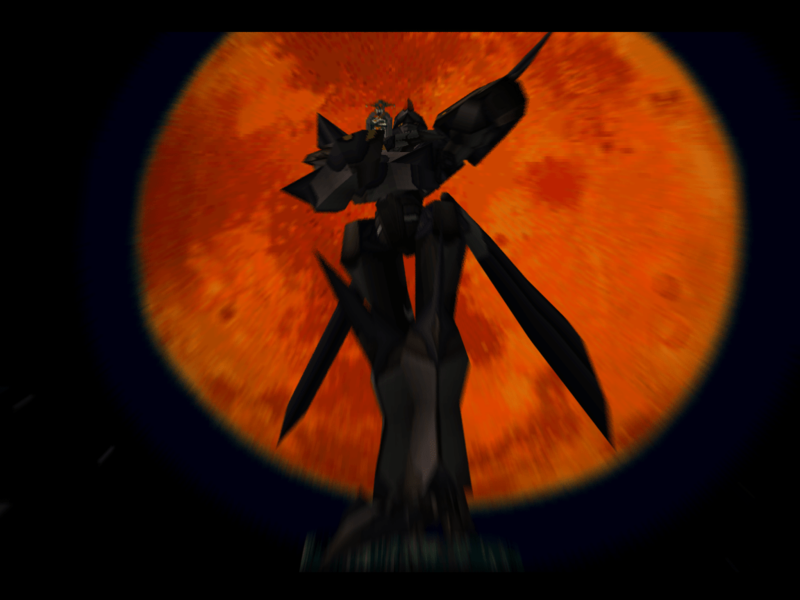 Xenogears showed me a great number of things that could be accomplished in games as a medium. With its depth in story, characters, and the fact it was not afraid to delve into controversial issues, it showed that gaming was growing up. It made me question not only the way people look at faith and other philosophical issue but, in some ways, the way I look at life in general. It is not only one of my favorite games of all time but it made me a fan of the Xenosaga series in general which eventually lead me here to Oprainfall, where I met some of the greatest friends I have ever had. 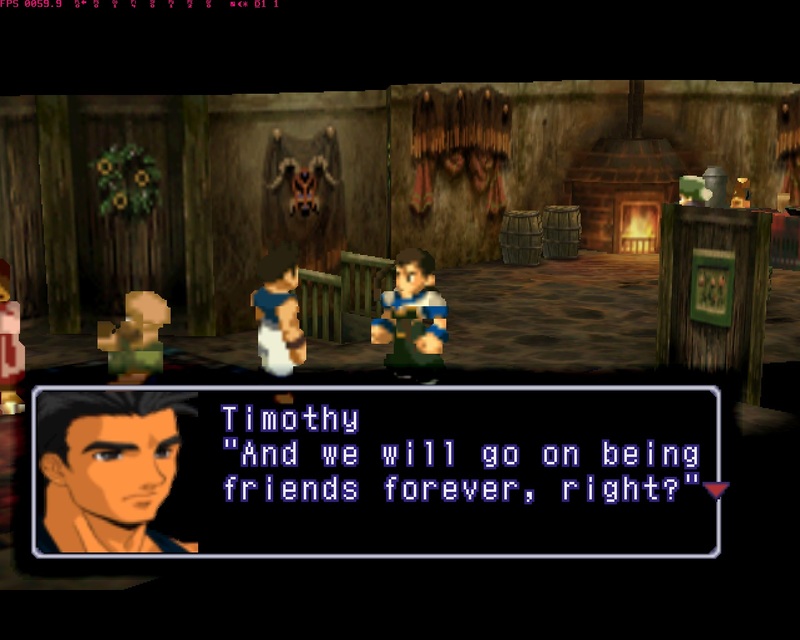 I have much to thank Xenogears for. I look very much forward to Takahashi-san’s next project. I know it will be just as epic and thought provoking. Source for all information in this article: Study Guide for Tetsuya Takahashi’s Xenoverse. Everything you ever wanted to know about Xenogears or Xenosaga can be found there, if you’re curious. One of the best resource sites of all!